The SCOTT Chase combines protective design with style and function. Utilizing MIPS makes the Chase one of SCOTT’s most protective, stylish, and comfortable helmets. 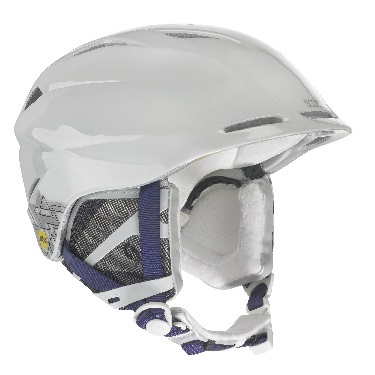 MIPS Brain Protection System: offers a whole new dimension in safety. G-Vent System: Intake vents placed on the front of the helmet, just above the goggle, pull air through the goggle frame removing stagnant air that causes fogging. The result is a venting system that allows your goggle and helmet to breathe more efficiently. Micro Rotary Adjustment System (MRAS): Offers unparalleled adjustment, comfort, and stability. Using an automatic lock system, the helmet is held securely in place. The MRAS Fit System is built on a flexible structure providing added comfort when fitted on the rider’s head. PC In-Mold Construction: During the in-mold manufacturing process, the outer shell of polycarbonate material is fused with the helmet’s impact absorbent foam liner, creating a super lightweight outer shell.With reduced weight and bulk surrounding the head, in-mold helmets are more comfortable than traditional helmets.